Photo courtesy the Office of the Prime Minister of Trinidad and Tobago. 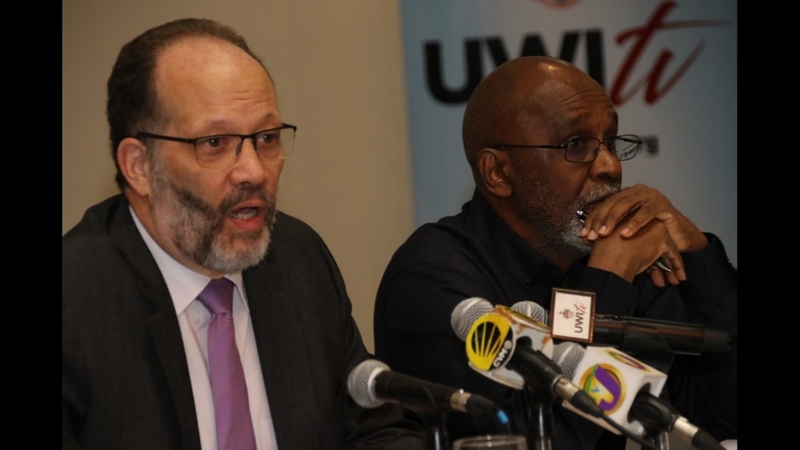 Firm positions must be taken on the region’s CARICOM heritage. 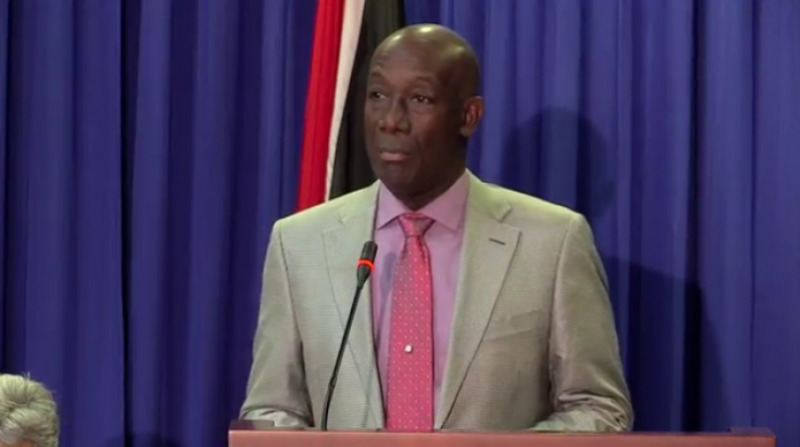 This was the stance taken by Prime Minister Dr Keith Rowley who at a special meeting on the CARICOM Single Market and Economy (CSME) convened in Port-of-Spain on Monday urged his CARICOM counterparts to make a definitive decision on the future of the regional initiative. “I implore my colleagues to take this opportunity to make steps forward. 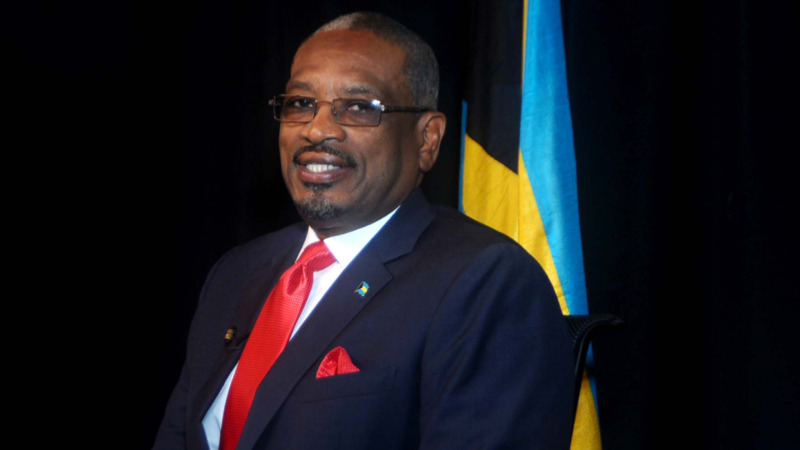 CARICOM is not about winners and losers. We are all in this together. Looking for ways out, so as to avoid the potential of being a loser is the surest way to destroy the legacy of this organisation and frustrate those who hope that its promise will be realised,” he continued. 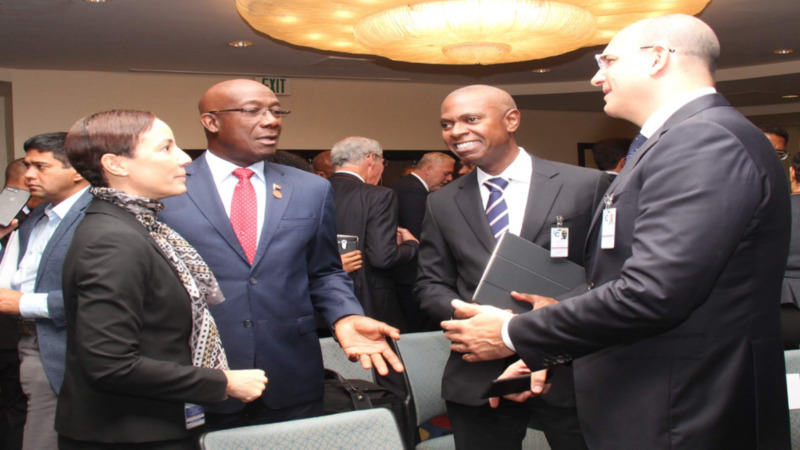 Rowley made the comments during his opening remarks at the 18th Special Meeting of the CARICOM Heads of Government on the CSME. He advised the conference that his thoughts on the subject were informed by three documents – the CARICOM Review Commission chaired by former Jamaican Prime Minister Bruce Golding, a presentation by Dr. Ralph Gonsalves titled Some Salient Issues for Resolution in CARICOM and the package of papers prepared by the CARICOM Secretariat for this special meeting. The Prime Minister cautioned that hard decisions must be made if the region is to realise its full potential, adding that the meeting serves as a call for leaders to honestly identify the elements of the plan that are feasible and those that are not. After a brief opening, the conference heard from members of the private sector and labour regarding their perspective and recommendations for the CSME. Their input has been identified as critical to the region’s success. Prime Minister of Jamaica and Chairman of CARICOM, Andrew Holness, President of Haiti, Jovenel Mois, Prime Minister of Barbados, Mia Mottley, Prime Minister of Grenada, Dr Keith Mitchell, Prime Minister of St Lucia, Allen Chastanet, Guyana Second Vice President and Minister of Foreign Affairs, Carl Barrington Greenidge and Suriname Vice President H. E. Michael Ashwin Adhin are among the heads of delegations who attended Monday’s meeting.